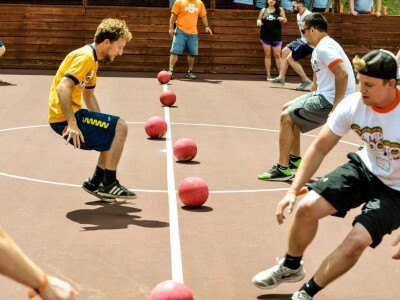 On the 7th Annual Garland Gives day of service Propel young professionals are hosting a dodgeball tournament with proceeds benefitting local charities, The Salvation Army and The Buddy League! Organize your own team and prove your company is the best! Enjoy food trucks, friendly competition, great prizes, and networking with other area young professionals -- all for two great causes! Deadline to register is April 23 at 5 p.m.
One Day. Many Hands. Side by Side. Launched in 2013 by Leadership Garland Class 32, Garland Gives is an annual “day of service” for the city of Garland led by the current LG Class and joined by a large group of LG Alumni, members of the corporate community, churches, and citizens. Complete details of the scheduled projects are listed www.garlandgives.org.